"I've been a client of Ian's Lawn Service for over 12 years now. We've had nothing but excellent, reliable service and communication from Ian and his team. Ian is a responsive, flexible and committed business owner. He has worked with me over the years to adjust the nature and frequency of our various landscaping/lawn care needs offering great advice along the way. It's been a pleasure working with Ian - he and his business are an asset to the community." 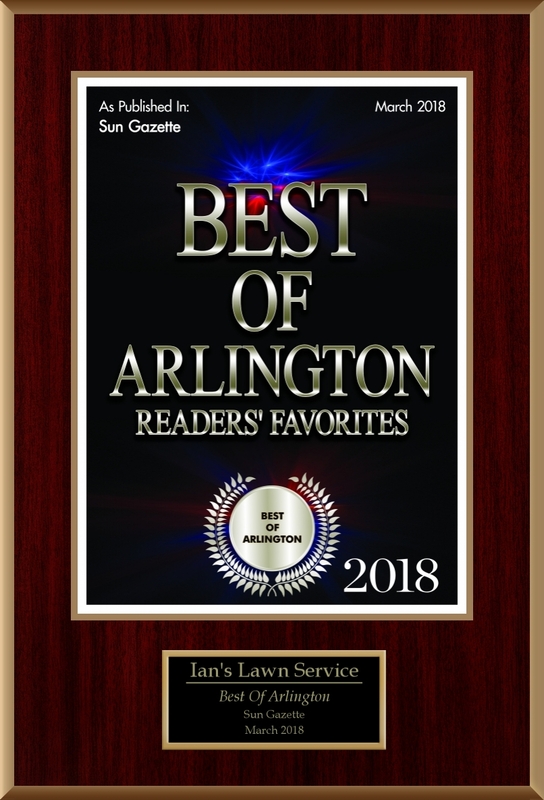 Ian's Lawn Service "A TOP VOTE GETTER 2017"
"We have been using Ian's Lawn Service for over 10 years and have been more than satisfied. They are prompt, attentive and keep my lawn looking good and healthy. It makes me happy to know that I do not have to worry about my lawn and landscaping. Ian himself is approachable and is always there to answer questions when I have them. I would recommend them highly."